For example, FOGs provide precise azimuth measurements that an autonomous car’s logic processing unit and control systems can use to determine motion through a curve. An IMU — which may include FOGs and accelerometers in a single compact package — can provide accurate six-degrees-of-freedom angular rate and acceleration data to precisely track the position and orientation of the car even when GPS is unavailable. 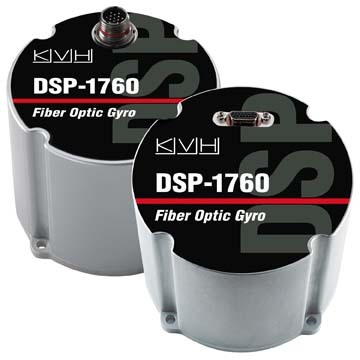 “We have successfully produced more than 90,000 fiber optic gyros for an extensive range of unmanned applications, in part because of our ability to tailor size, performance, and cost to meet different design needs,” says Jeff Brunner, KVH’s vice president for FOG operations, an experience that he says will enable KVH to produce a low-cost sensor when driverless cars enter full-scale production. KVH says its FOGs and FOG-based IMUs are used in prototype programs not only for autonomous cars, but also for production programs for underwater unmanned vehicle navigation and rail/track geometry measurement systems, and have been adopted for commercial applications such as land-based street mapping platforms, unmanned aerial systems, camera stabilization systems, and remotely operated subsea systems. According to the company, its 1750 IMU was incorporated into 11 of the 23 humanoid robot finalists in last year’s DARPA Robotics finals, a competition designed to showcase robots capable of intervening for and even replacing humans in high-risk situations such as fires, earthquakes, and other natural disasters. “The kit is designed to help engineers get up and running in minutes, making it easier to run diagnostics and accelerate their system development,” says Roger Ward, KVH’s director of FOG product development.